Doug Ford is now leader of the Ontario Progressive Conservative Party. The Latte Left said it was ludicrous. Pundits pronounced it impossible. Ford had no base of support outside the 905, they said. His plain-speaking manner would never appeal to the downtown crowd. Or so they thought. This may be the change election we had hoped for, granting us a reprieve from the madness of the ideologically bent incompetent at Queen’s Park. Still I remain wary, and after the results of the last two elections so should we all, polls are often wrong nowadays and nothing is ever a lock. My suspicion is that many profess to be converts but will vote for Wynne when E-Day arrives. 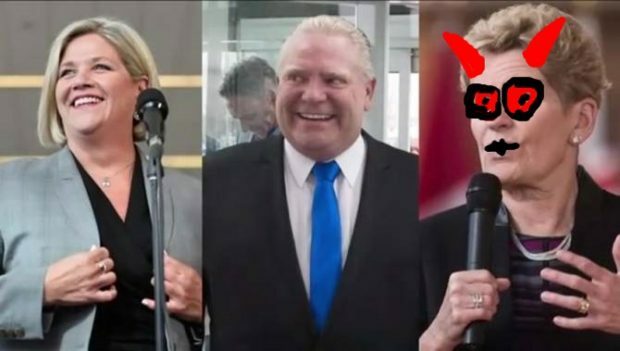 The Ontario Kleptocracy is a force to be reckoned with and they will get out their vote, we have to hope Ford inspires enough of the rest of us to overcome her head start. With voter turnout running in the 50% range the last two go rounds I suspect a record will need be set, if not a Liberal- NDP coalition becomes a real possibility. And that will not be the change we hoped for.